Anambra records 2,000 TB cases, says Commissioner. - BlogIT with OLIVIA!!! Home / Unlabelled / Anambra records 2,000 TB cases, says Commissioner. Anambra records 2,000 TB cases, says Commissioner. The Anambra Government says no fewer than 2,000 tuberculosis patients are receiving treatment at various Directly Observed Therapy Centres in the state.The state Commissioner for Health, Dr Joe Akabuike, disclosed this at news conference on Monday in Awka. He said that Anambra and 13 other states, including FCT, contributed to over 75 per cent of the total TB burden in Nigeria. Speaking on the theme: “Find TB, Treat TB and work Together to Eliminate TB”, the Health commissioner dispelled the belief that TB could be caused by voodoo. 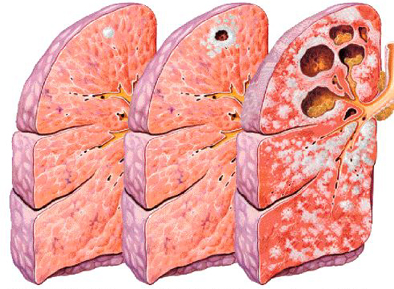 He said that the disease is caused by a germ called Mycobacterium Tuberculosis and that it is spread through the air when people who have active TB in their lungs sneeze, cough, spit, speak or sing. The commissioner said that people living with HIV were more vulnerable toTB infection, adding that the ailment could be cured when detected early. “The untreated infected individuals can spread the disease to between 10 to 20 persons each year within the poor population, PLWHIV and other key affected populations,” he said. He lauded Gov. Willie Obiano for the prompt payment of salaries of health workers and provision of health facilities for the TB programme, as well as signing of MoU with the global funds to contribute 20 per cent of the funds by the donor to control TB in the state. The state Tuberculosis, Leprosy and Buruli Ulcer Control Officer, Dr Ifeanyichukwu Okolie, on his part emphasised the need for people to go for diagnosis and treatment when detected. Okolie said the diagnosis and treatment of TB were free.